Welcome to Sin City Stamps. Today we have our first real snowfall. It really made me think more about Christmas. 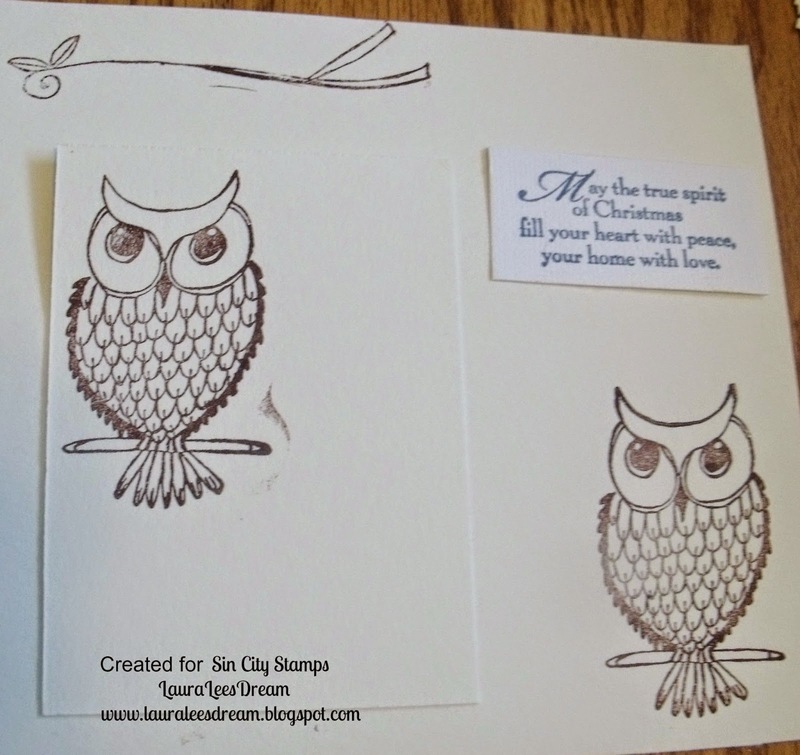 I was thinking of these adorable owls so I had to do a Christmas card. Aleen's glitter snow and Crystal Stickles. Glossy Accents. 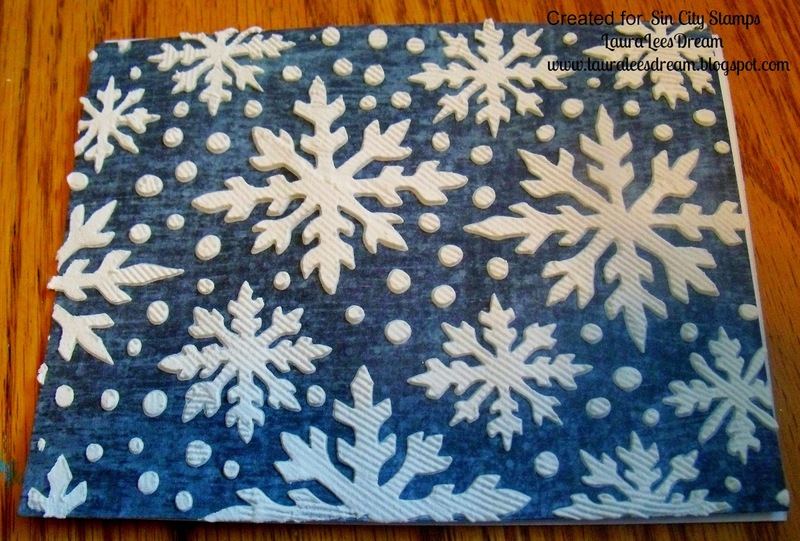 Using the stencil I added texture paste to the patterned paper. I used a serrated part of a knife so the lines would be ridged. I stamped the owl and the sentiment. I am not sure whether you can tell or not but I Stickled some snowflakes. I punched a lot of the MS branches in white. 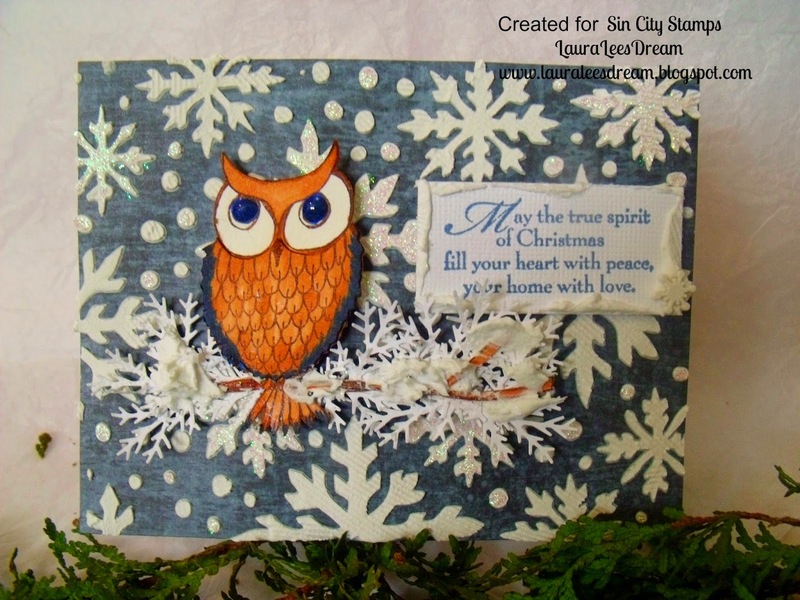 I added the owl and branches to the white branches. I added Aleen's snow to the white branches. 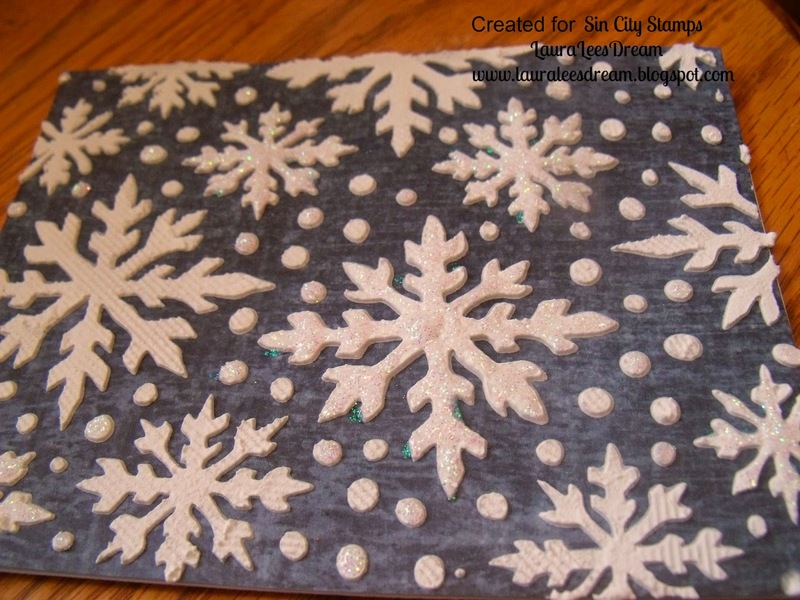 Check out the Sin City Stamps store.. This is fabulous, love the owls. Loving your blog and am a new follower. Oh my, this is just adorable. 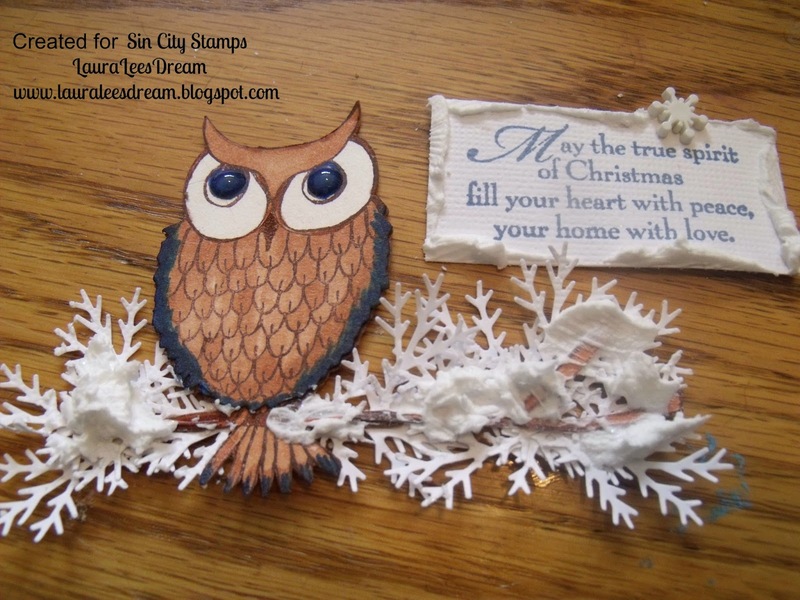 I love all the little details, and the snowflakes with the owl are fab!